For the past few days, I haven't written a word of my WIP--but that doesn't mean that I haven't been writing. I'm still unsure as to whether or not I should go ahead with the scene I was in the middle of or to skip ahead to when the Keegans reach Bristol. I'm really not sure what to do. On the one hand, the scene would show my MC teaching his daughters something, thereby building their relationship. On the other, skipping ahead to Bristol would move the action along. In the meantime, I've updated both of the stories I'm currently working on on fanfiction.net. 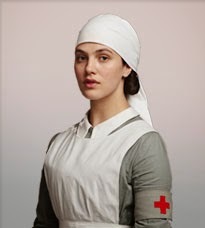 Basis in the TV series: On the season 2 premiere, Lady Sybil Crawley gets a letter, telling her that yet another young man she knew has been killed in WWI. With this news, Sybil no longer feels that she can stand aside and not do something to aid in the war effort. Her cousin suggests training as a nurse. she's a suffragette, helps a maid find work as a secretary, and at the end of season 2, married the family's chauffeur. I liked it in-show when Sybil became a nurse, but something about a girl who'd never attended school, held a job or even a volunteer position before wanting to become a VAD nurse---even after two years of getting bad news of friends dying--seemed like it could be expanded. Basis in the TV series: It's a future-set fic, technically, taking place in 1932. The only basis this has in the series is that, in season 3, Lady Sybil, now married to Branson the former chauffeur, dies after giving birth to their daughter. What About This Triggered a Fic? 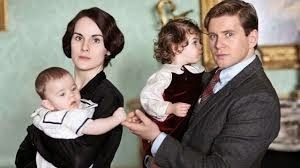 In season 4, we got to see some of Tom Branson, now the Downton estate agent, raising his only daughter. He's quite a hands-on dad for the time period. I wondered what it would be like for little Sybbie to hit puberty. Also, gives me the chance to expound on what I think would happen to the characters in the 1930s. 1. I don't need to describe the settings much, or the characters, or their motivations. 2. Let's be real: I'm not trying for the quality of my "real novel." 3. Instant reviews! It's kind of great, actually. 4. Endings already written. Taking my sweet time getting there. 1. The reviews are lovely, but why are they squealing? It's really not that good. 2. At least I write in fairly literate English? Actually, the Downton Abbey section on ff.net is hoppin' with very high-quality stories. 3. 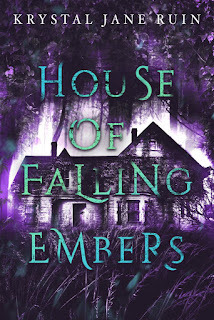 Why am I forging ahead with these stories and letting my "real novel" sit there? Lol :-) Well, the first one has maybe another two or three chapters to go. The second one is just getting started, but there IS an ending. Guess I'll see where it goes. I agree with Krystal - it's great to try other writing directions. Although I've never tried writing fan fiction, I can imagine how freeing it must be. The characters are already somewhat set and you can simply take off with them however you want. It doesn't have to be perfect or great or anything - the perfect writing practice! It's more like pondering with the WIP at the moment. Luckily, I am going away later this week, so I'll just take the outline with me and take some notes instead of actually writing. Maybe work on a blurb or a draft query.